Heat the oil in a skillet over medium high heat until quite hot. Sprinkle the pork chops with a little salt and the grill them for about 5 minutes on each side, just until they are done through and no longer pink. Remove the chops to a warm plate. Add the hard cider to the pan and let the liquid bubble away for a couple of minutes. It will reduce a little and you can scrape up any brown bits from the pan to add flavor to your sauce. Stir in the mustard and the cream and heat through. 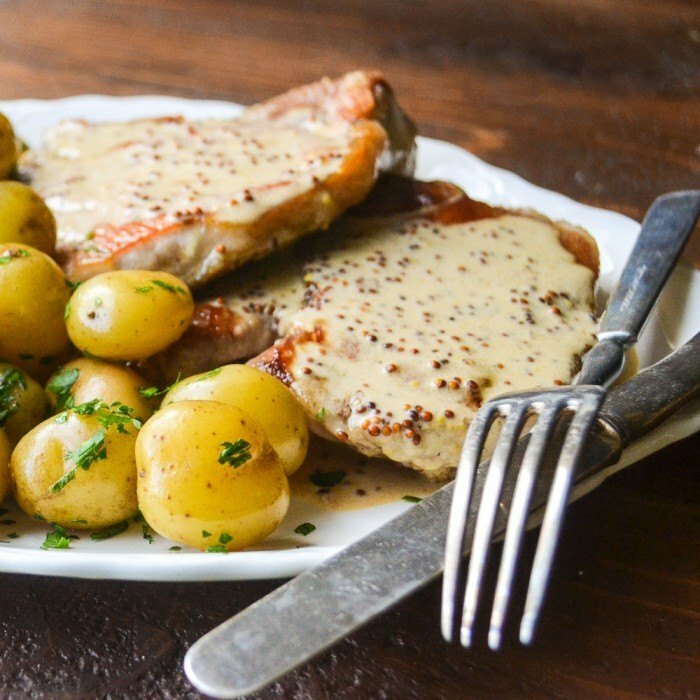 Serve the pork chops drenched in the sauce, with boiled potatoes alongside.